Hathor is the goddess of love, joy, beauty, and life at its fullest and most intense. She is concerned with all aspects of a woman’s life – youth, marriage, pregnancy, and beyond – and is a fierce protector of the individual. She is a gentle and kindly friend to the deceased, and guides them into rebirth. 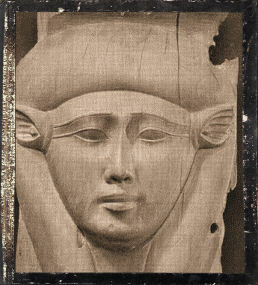 Epithets: The most comprehensive list of Hathor’s epithets available on the ‘net can be found at Hethert.org. Anything short of linking here would have simply been duplication. Aphrodite, Hera, Persephone, Nyx, Sekhmet, Isis, Sekhmet, Nut, Venus, Astarte, Ishtar, Inanna, Anat. Love. Dance. Sing. Play music. Cultivate states of ecstacy. Enjoy life to its fullest.